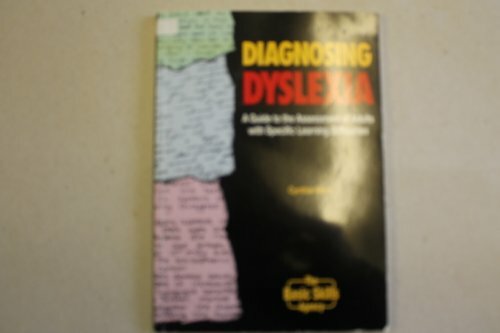 Diagnosing Dyslexia was initially a product of a national project for basic skills tutors in 1990-92. It has been used successfully by tutors supporting dyslexia learners for 10 years. It has now been updated to incorporate current thinking. It aims to outline diagnostic methodology based on best practice for teachers offered by current research and knowledge on diagnosing adults. It also offers materials to support the assessment process. The book offers a veritable resource collection for the beginner...because of the non-word list, the specimen reading passages, the Fogg readability index, the word lists, and so on.